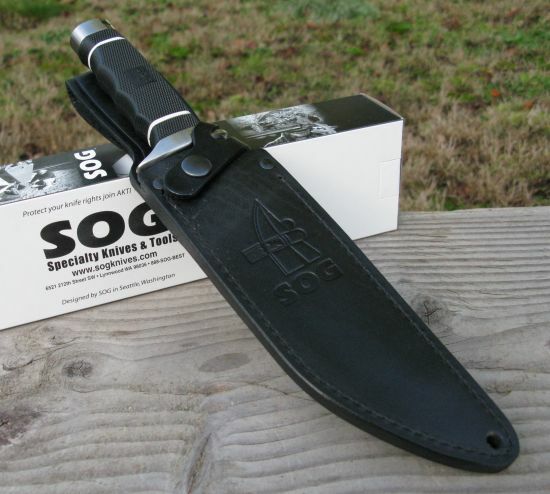 The SOG Creed is a fresh design from SOG. 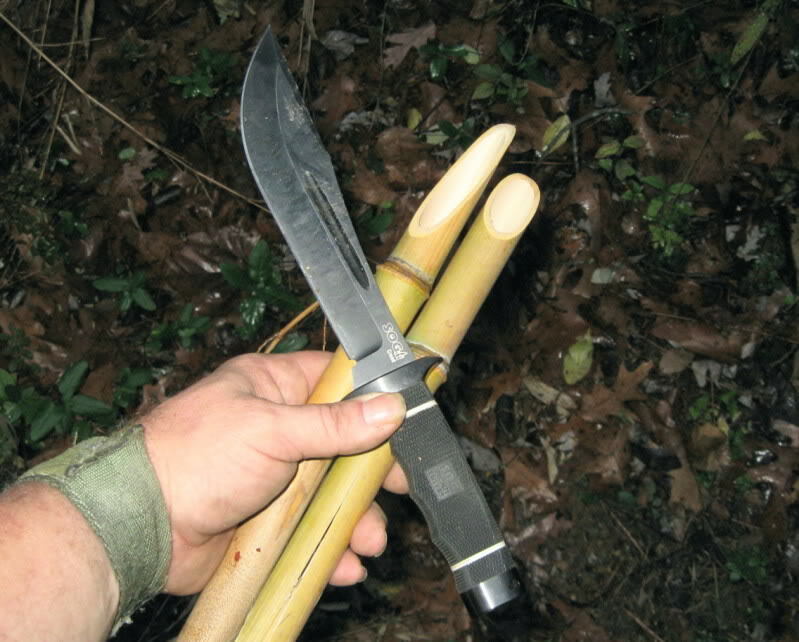 Moving away from the traditional SOG Bowie design, it is geared toward the bush-whacker or jungle guide. 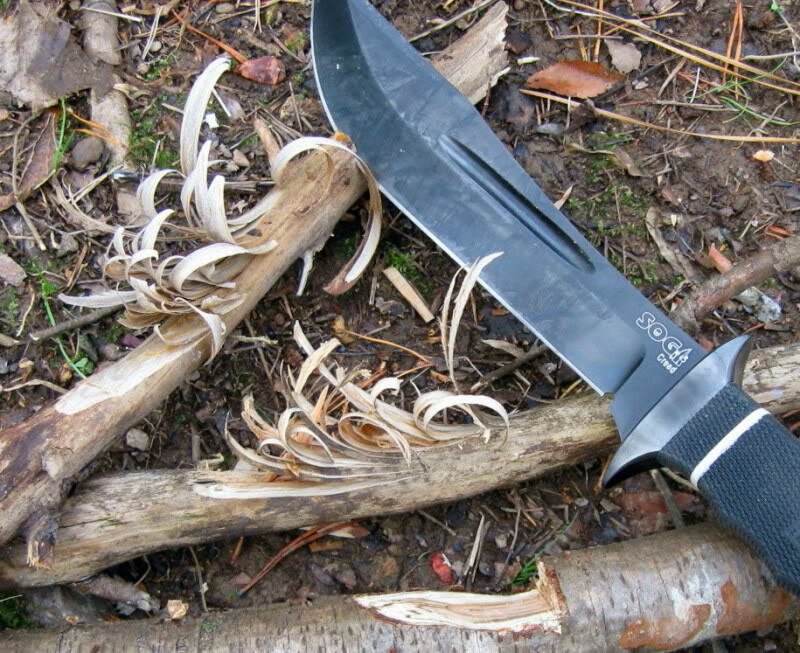 With a generous belly, the SOG Creed handles chopping tasks easily and its thick blade and heavy weight makes it an ideal chopper. 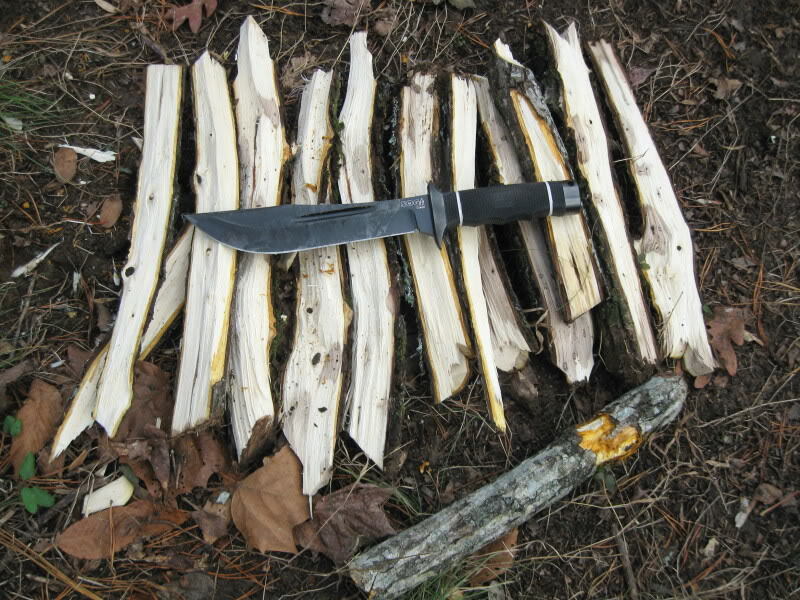 Not to mention for a knife with such a blade its balance point is at the guard - very nice! Another plus point is that it comes with a leather sheath which is more comfortable and suited for carrying on the belt outdoors. 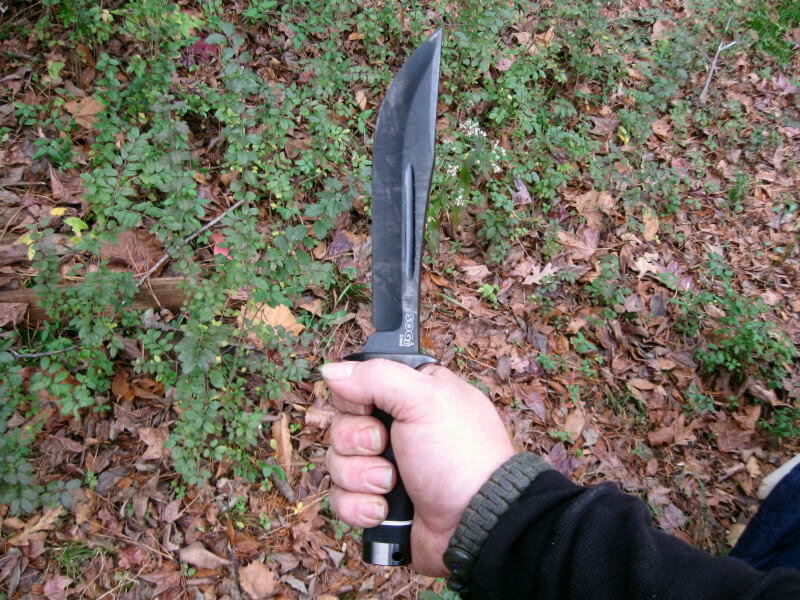 However the "blood groove" on the knife appears to be for aesthetic purposes and serves no real purpose, unless you are doing some stabbing with this chopper. 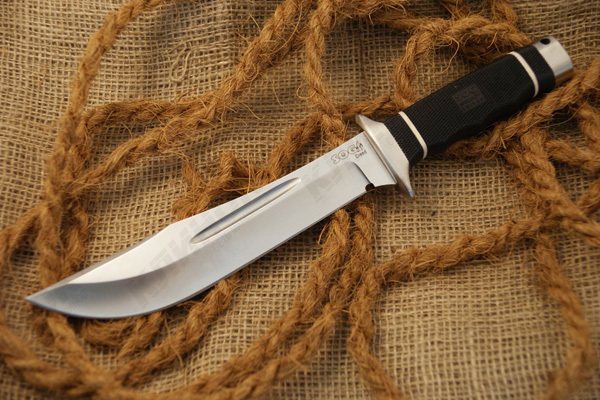 The knife is an attractive design but with its $250 price tag, would any one consider using one of these? 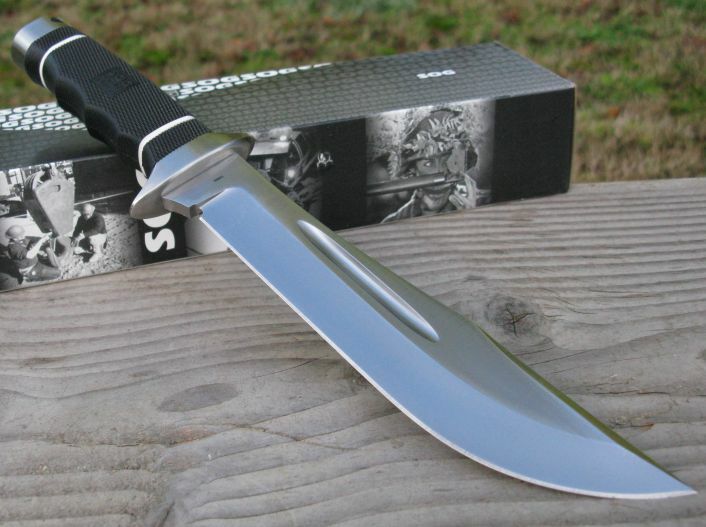 Blade Length: 7.5 in. x .240 in. One of the more dramatic blade shapes in the SOG arsenal, the Creed delivers on its promises of high-level performance. 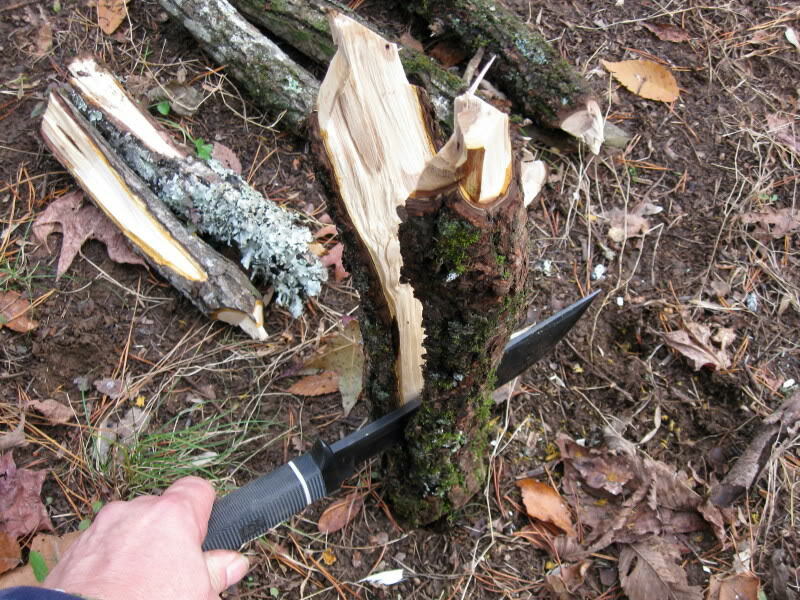 The very stout front end weights the knife forward for chopping and piercing. 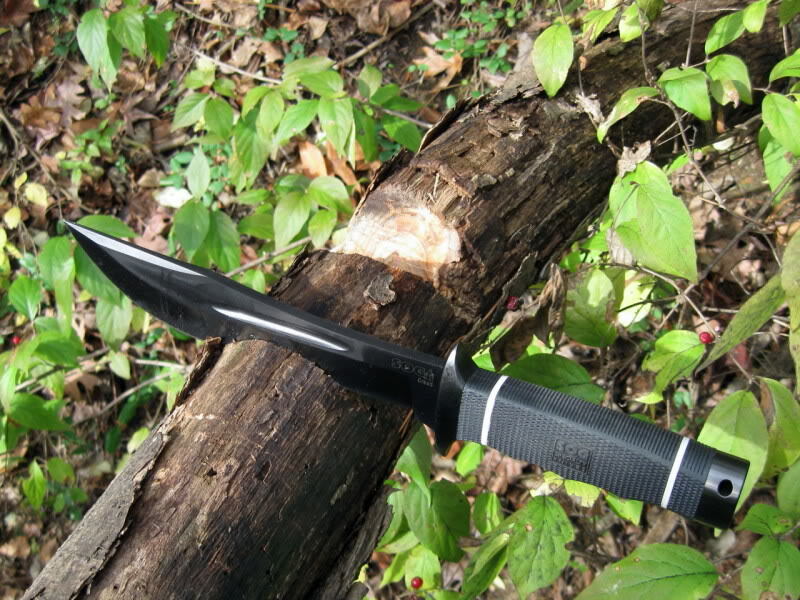 The big belly on the blade maximizes the cutting edge for extreme wilderness and hunting situation. 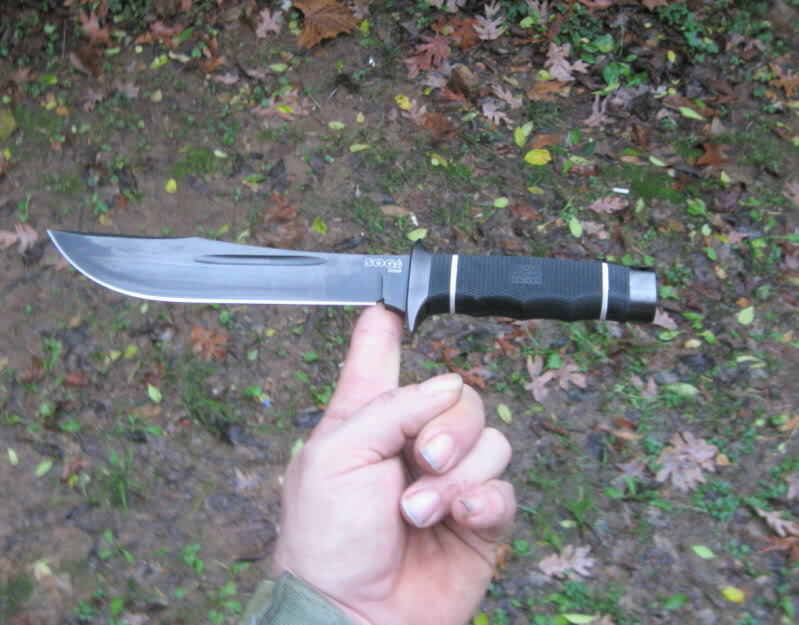 Mated with the Tech Bowie handle to provide a confident grip in inclement weather. This is a great example of a collectable and working knife coming together. 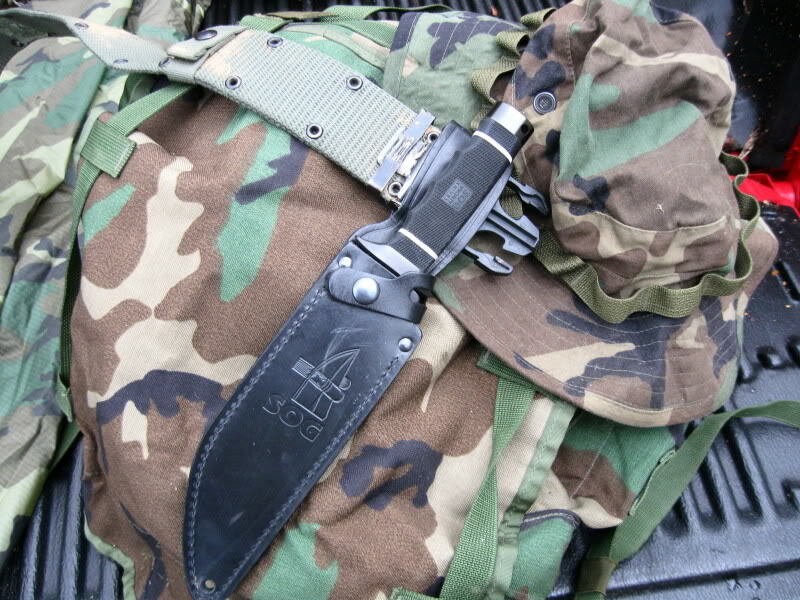 For serious SOG Collectors and users. Includes satin finished stainless steel, tactile Kraton rubber handle, and white washers. Also available with Black TiNi finish.